Have you been accused of driving under the influence (DUI) of alcohol while operating a motor vehicle, boat, or watercraft in the Commonwealth of Virginia? If so, you are understandably worried. After all, Virginia has some of the toughest drunk driving laws in the nation, and the penalties are harsh. In Virginia, it is illegal to drive with a blood alcohol content (BAC) of .08 percent or higher, and even drivers with a lower BAC can be considered under the influence if their driving is somehow impaired. The reality is that anyone can be charged with driving under the influence—even someone who didn’t have a single drink. Many of those charged with DUI are not habitual offenders; instead, they are moderate social drinkers. Others are completely innocent of the charges against them. A DUI arrest can be humiliating from a personal standpoint, but the embarrassment is just the beginning. Even a first time conviction of DUI may result in a criminal charge on your record, which may affect your employment status, security clearance, or future attempts to get a job or renew a professional license. And DUI cases can be quite complicated, with penalties becoming more severe for second, third, and fourth offenses. In addition to standard penalties for these offenses, additional penalties apply for offenses that occur within 5 and 10 years of a prior offense or for any offenses associated with elevated BAC levels of .15 percent or higher. No matter what the circumstances—whether you believe you were legally impaired, you aren’t sure if you were legally impaired, or you feel that you have been unjustly accused, you need the best possible defense from a law firm that really understands how to defend against DUI charges in Virginia. Was the traffic stop legal? In order to make a lawful traffic stop, the police officer must have reasonable suspicion that you are breaking the law. For example, a police officer can pull you over for a broken tail light, failing to signal, weaving, or crossing the center line. However, he cannot pull you over randomly or just because you happen to be driving late at night. Did the arresting officer have probable cause? The police officer must have probable cause to make a DUI arrest, meaning that he must validate the arrest with evidence of impairment such as the driver admitting to alcohol consumption, an open alcohol container, positive results from a preliminary breath test (PBT), or the odor of alcohol on your breath or in your vehicle. Stumbling or slurred speech is not enough to make an arrest; a number of physical or mental disorders could be responsible for this type of behavior. Are there circumstances that invalidate the Field Sobriety Test (FST)? The FST is a series of tests designed to determine if the driver is over the legal blood alcohol limit. Because the FST is not standardized in Virginia, various police officers may administer it differently. In addition, footwear choices, pavement grade, vision problems, hearing loss, balance issues, agility trouble, or obesity may cause drivers to fail these tests. Is the official breath alcohol test valid? After a DUI arrest, an official breath test will be conducted using one of several breath alcohol testing devices approved by the Commonwealth of Virginia. These machines are not infallible, and discrepancies in maintenance, calibration, and testing records may invalidate the results. Was the blood alcohol test handled properly? If a breath alcohol testing device is not available, a blood test may take the place of an official breath test. How the blood was drawn, packaged, and processed can be challenged, as well as whether it was tampered with or mishandled in some way. Attorney Van Hardenbergh knows how stressful a DUI arrest can be. The financial penalties are stiff, and a suspended driver’s license and possible jail time can impact your ability to work and make a living for your family. 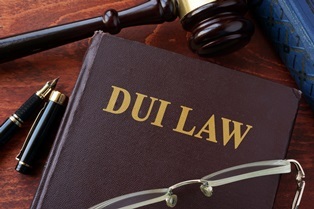 Our goal is always the same—to help you avoid a DUI conviction. And although we can’t help everyone avoid conviction, we can advocate for you to achieve the best possible outcome for your specific situation. In addition to a well-conceived legal defense strategy, we can offer alternatives to possible jail time, such as substance abuse treatment and community service. And if you face a mandatory jail sentence in Virginia, we can explore alternative jail sentencing such as weekend time, work release, and home incarceration to minimize the impact on you and your family. Are you ready to get to work on your defense? DUI Defense Attorney Van Hardenbergh has more than 20 years experience helping people just like you, and he will do everything in his power to help you avoid a DUI conviction. He is a Distinguished Graduate of the Virginia Military Institute and a graduate of the University of Virginia School of Law. He served for seven years as a JAG officer in the U.S. Army and worked as a federal prosecutor trying numerous speeding and DUI cases. His experience speaks for itself; he is just the attorney you want fighting for you. Contact our office today at (804) 835-5127 to schedule an appointment, or fill out our contact form to see how Attorney Van Hardenbergh can help you to secure your defense after a DUI arrest.